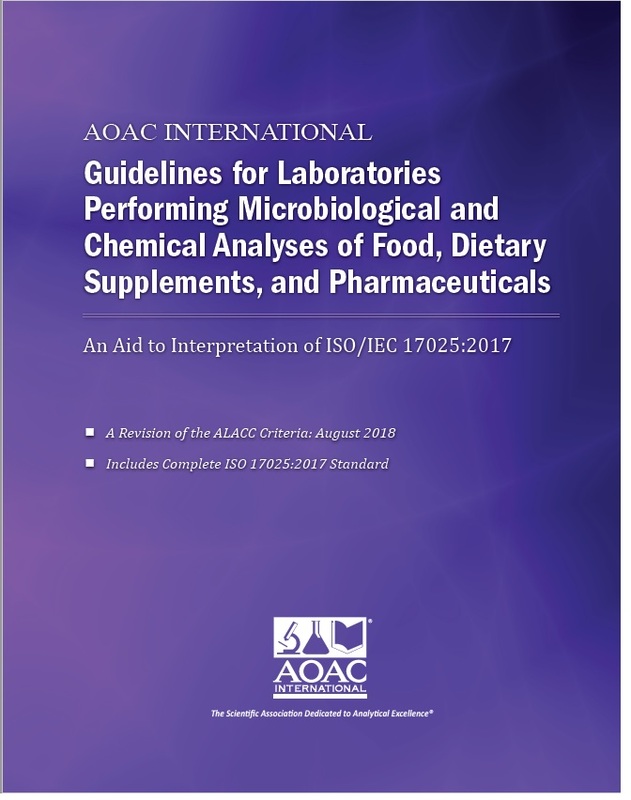 The “Guidelines for Laboratories Performing Microbiological and Chemical Analyses of Food, Dietary Supplements, and Pharmaceuticals – An Aid to the Interpretation of ISO/IEC 17025:2005 (2017)" (ALACC Guidelines) provide detailed information to aid in assessing the essential quality requirements for performing microbiological and chemical analyses of food, dietary supplements, and pharmaceuticals. The revision includes dietary supplements for the first time. The document is closely aligned with ISO/IEC 17025 and provides a section-by-section interpretation of the general ISO/IEC 17025 requirements. *Print rates do not include shipping and handling. Contact AOAC for accurate pricing. Shipping for print copy is determined by the SHIP TO address. Domestic orders ship via UPS, International orders ship via FedEx. PREPAYMENT IS REQUIRED. Rates are effective August 1, 2015 and are subject to change. Rates are in U.S. dollars and checks must be drawn on a U.S. bank.